Terming Chief Minister N. Chandrababu Naidus approval of 5% reservation to the Kapus (out of 10% announced by the Centre for the economically weaker sections) as historic, HRD Minister Ganta Srinivasa Rao said on Wednesday that the government would initiate steps to implement it from the 2019-20 academic year. Addressing the media here, Mr. Srinivasa Rao said the relevant G.O. would be issued soon and the issue discussed in the Assembly. The Chief Minister will ensure implementation of the reservation in education and employment from the coming academic year,he said. Mr. Srinivasa Rao said the government would set up regional Kapu Bhavans at various places, for which ₹75 crore had been sanctioned. In Visakhapatnam district, three places had been short-listed and ₹5 crore sanctioned for the purpose. Foundation stone would be laid before February 10, the Minister said. Lashing out at YSRCP president Y.S. Jagan Mohan Reddy for stating during his padayatra that he could not make any promise on the Kapu quota issue as it was within the realm of the Centre, the Minister said the Opposition leader would not be able to achieve SCS or separate railway zone with Visakhapatnam as headquarters citing the same reason. 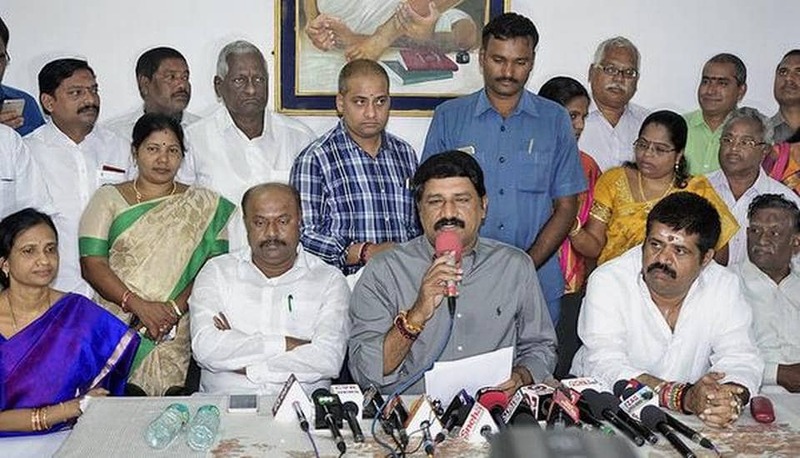 Anakapalle MP M. Srinivasa Rao said Kapu leaders in various opposition parties should not criticise the governments decision as it would benefit the youth of their community. Yelamanchili MLA P. Ramesh Babu was present. Earlier, the TDP leaders performed abhishekam to the flexi of Mr. Naidu, thanking him for reaching out to the Kapus.